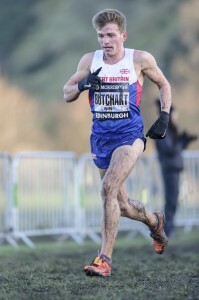 Andrew Butchart can’t wait for the National XC next month after a decent run for GB and NI at the Great Edinburgh XC. The Central AC athlete was the best-placed Scot in the Men’s 8K International race as American Chris Derrick successfully defended his title. Butchart headed Callum Hawkins and Luke Caldwell in that one with Chris O’Hare at 10th in a high class Men’s 4K race earlier. 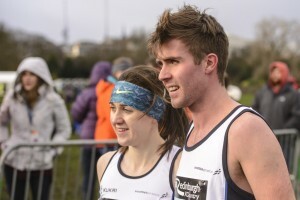 In the innovative 2 x 1K Mixed International Relay there was a third place finish for the Scotland A team of Laura Muir and Ross Matheson with the B selection of Josephine Moultrie and Grant Muir taking sixth (with nine teams in the field). 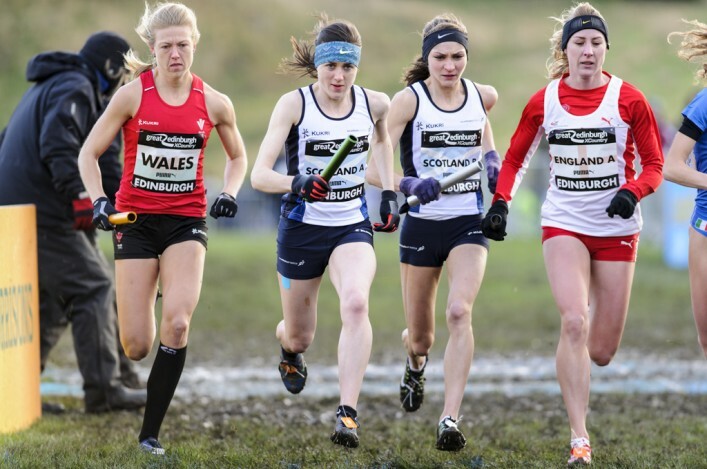 As a tough day for all concerned drew towards a close mid-afternoon, Rosie Smith finished 28th in the Women’s 6k race as the late call-up edged out three of her GB team-mates. Euan Gillham had a fine run in the U20 race as he finished 10th with Jonny Glen in 18th – as U17 Inter-District champion Connor Maclean pulled off a superb 13th place finish. It was a special day for Gillham after his late call-up to the fixture and he finished second GB athlete out of the six-strong team. ‘I was thrilled to get my first GB vest and when the kit came through that was when it all became real – I think I was running on the excitement and the adrenaline today,’ said Euan. Butchart, 16th in the 30-strong field, was fifth counter for GB with Hawkins the sixth GB athlete home in 19th place overall. Caldwell finished 27th. ‘You are never sure how the first race of the year will go but it was a lot better than Bulgaria and the Euro Cross,’ said Butchart. ‘It was also a good deal better than I did for GB here a year ago, when I wasn’t feeling all that great, so I am quite pleased with that. I don’t know if that reflects the progress I feel I have made in the past year but perhaps it does a little. ‘I was sharing with Callum in the hotel so we like to have a bit of banter and a couple of practical jokes; on team-mates and opponents! It’s been good fun being with team GB and NI. ‘I don’t know he felt during the race and beating him wasn’t an objective, if you like, but it’s not never too bad to finish ahead of him and we will look forward to the National XC at Falkirk now. Derrick’s success followed on from fellow American Garrett Heath winning the Men’s 4K race for the second year in a row in 12.11 with World 1500m champion Asbel Kiprop pushed back to fourth. The International Mixed Relay, with a woman and then a man each running 1k, proved an exciting start to the international dimension with nine teams fielded and not much between them all – only 20 seconds in fact, with England B winners in 6.43. 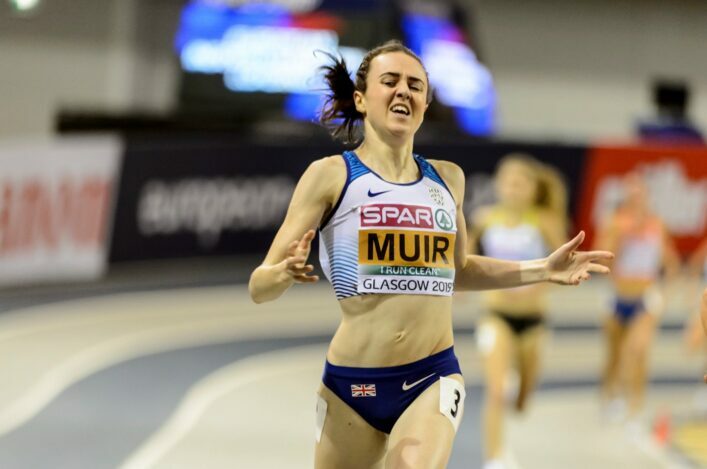 Laura Muir had given Scotland the lead at the change-over, but not by much, and for Scotland B there was a good run by Grant Muir to pull up to sixth place, over-hauling Italy and also finishing above Ireland and Wales. Ross Matheson had to hold on well for the ‘medal places’ for third with prize-money of 1500 dollars to be shared between the American-based Lasswade runner and Laura Muir..
Ross said: ‘I enjoyed and I’m happy enough we were in the top three places. I heard them talking about 5000 dollars over the speakers before the race so I think that made me set off a bit quick! 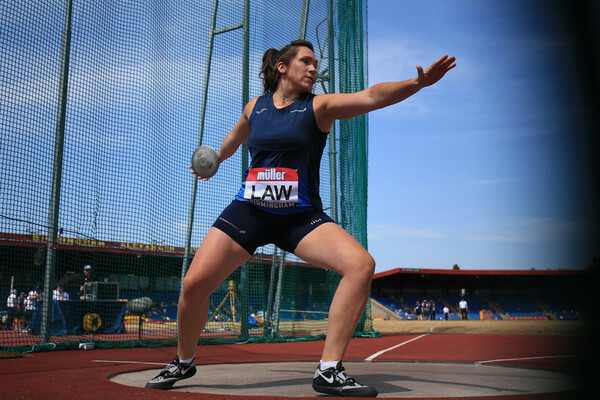 ‘I felt sure Laura would hand over with a lead so it was just a case of trying to use the tailwind down the bottom to make the others work hard to see if they could get back at me. Maybe what I put in at the start cost me a little bit at the finish. ‘I was on the physio’s table on Friday night with a bit of knee pain so that had me worried. Training has been okay recently, though. 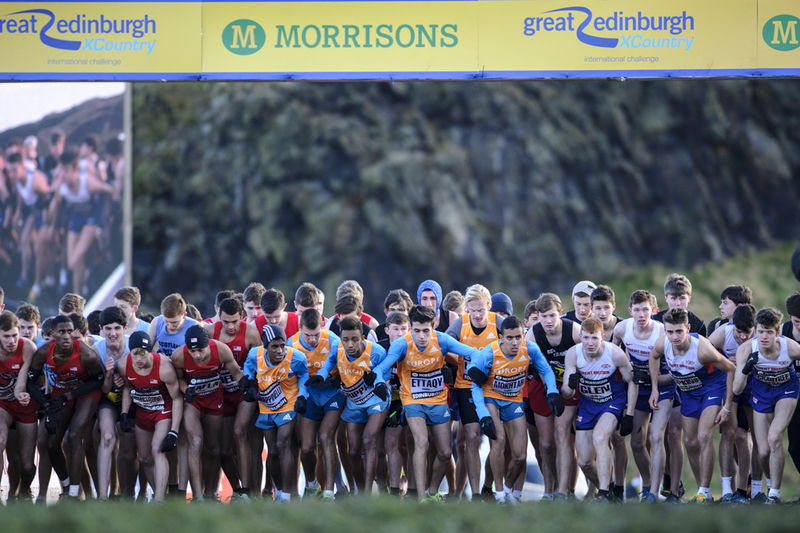 ‘It was my first race in Scotland for quite some time – I think since winning the U20 title at Falkirk back in 2013 in terms of cross country. Grant Muir savoured the experience of a first Senior appearance for Scotland. The Giffnock North AAC athlete and Scottish 1500m champion said: ‘It was a decent race and it was a great feeling to pull on a Scotland vest. That is my first as a Senior so I’m pleased.